The new on-the-go entertainment platform offers short format videos, regional content, News, famous TV shorts and music to a user's personal screen. VuLiv Player has partnered with Shuttl to launch the new mobile streaming platform VuScreenTM. It will keep users entertained while commuting and is built on the proprietary video multi-cast technology, VuScreenTM. It comes with 400 hours of video entertainment and claims of delivering 100Mbps data speeds in weak network areas. The VuScreenTM service trials were deployed into Shuttl buses operating on selected Delhi – Gurugram -Ghaziabad routes in the 1st phase and now are being rolled out for the entire fleet of Shuttl Buses. Have you ever felt bored and exhausted while taking your shared commute to office or way back Home? Long drive Back home, Bored in endless traffic battles, takes a toll on our mental preparedness before we even start with our daily workplace routine or get more tired we reach back home. Well, no more! Bringing In-Flight entertainment like experience into customer’s daily commute, VuLiv Player, India’s largest offline and online media entertainment platform, in partnership with Shuttl, announces the launch of their new, In-Ride mobile entertainment streaming platform, VuScreenTM. Built on the proprietary video multi-cast technology (VuShareTM), VuScreenTM is world’s 1st Smartphone based entertainment platform that allows passengers to stream 400 hours of video entertainment on-the-move with 100 Mbps data speeds even in network dark areas. In the 1st phase, VuScreenTM service trials were deployed into Shuttl buses operating on selected Delhi – Gurugram -Ghaziabad routes and after receiving a huge response & demand from the Shuttl commuters and the Shuttl drivers, the service will now be deployed across the entire fleet of Shuttl Buses. For years, cab aggregators, shared mobility transport providers and long-haul transport facilities have been trying to implement in-ride entertainment technologies into their vehicles, which would allow users to watch movies & videos while stuck in traffic. But this always came to them with additional hardware cost of either a power dependent Wifi-box or expensive tablets loaded with videos which coupled with Network buffering issues were unable to provide a seamless experience. What differentiates VuScreenTM is that you no longer have TV screens or tablets in front of your seat. Instead, it lets you stream exciting range of short format videos, regional content, News, famous TV shorts and music to suit every mood and taste, directly to your personal screen. Passengers can choose what to watch whether it’s the latest originals from Viu, ALT Balaji, Comedy Munch , SpotBoye Gossips or the Latest Business News on-the-go. Commenting on the launch of VuScreenTM, Manoj Gupta Founder & CEO VuLiv Player said, streaming on your own smartphone is now increasingly popular with affordable data plans but on the move, video experience is still a challenge while navigating through network dark spots, security zones, therefore, creating several interruptions in a digital experience. This led the team to push the boundaries of smartphone technology and create a disruption with our on-the-go entertainment platform VuScreenTM, where a customer can enjoy even an HD video experience without any interruptions created due to cellular network. Creating the new definition for In-Ride entertainment with VuScreenTM, we are extremely delighted to partner with Shuttl and are confident, that this initiative will appeal to all our guests, especially the millennials who are always looking for uninterrupted entertainment on the move. To Enjoy VuScreenTM, Customers need to follow 2 simple steps. Step 2: Just Open VuScreenTM App and Enjoy Unlimited Entertainment. Commenting on the launch Deepanshu Malviya ,Co-Founder Shuttl said Nearly 55% of commuters face buffering issues while viewing content on their smartphones. To ease this pain ,Shuttl has partnered with OTT service provider VuLiv, to provide uninterrupted seamless video streaming during the commute. This service will deliver curated content that is entertaining, informative and personalised .The VuLiv pilot is in line with our vision to take away the pain of commute and reclaim that time. We eagerly await to see the response of our commuters . 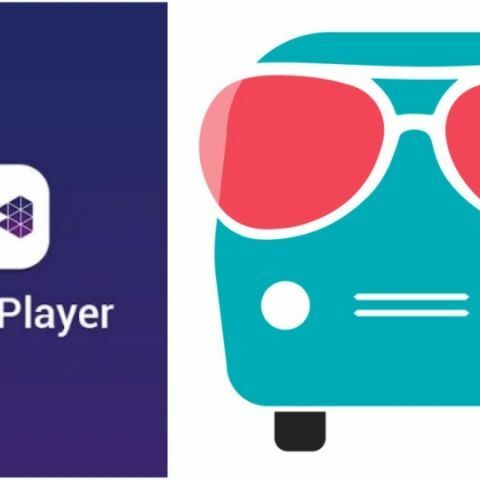 Currently simplifying entertainment in digital life of a customer and bringing a new dimension of entertainment quotient to millions of customers, VuLiv player is in talks with several national transportation service providers and is confident to on-board 1 Million vehicles with VuScreenTM solution within next one year.